TITLES OF NOBILITY" AND "HONOR"
In the winter of 1983, archival research expert David Dodge, and former Baltimore police investigator Tom Dunn, were searching for evidence of government corruption in public records stored in the Belfast Library on the coast of Maine. By chance, they discovered the library's oldest authentic copy of the Constitution of the United States (printed in 1825). Both men were stunned to see this document included a 13th Amendment that no longer appears on current copies of the Constitution. Moreover, after studying the Amendment's language and historical context, they realized the principle intent of this "missing" 13th Amendment was to prohibit lawyers from serving in government. So began a seven year, nationwide search for the truth surrounding the most bizarre Constitutional puzzle in American history -- the unlawful removal of a ratified Amendment from the Constitution of the United States. Since 1983, Dodge and Dunn have uncovered additional copies of the Constitution with the "missing" 13th Amendment printed in at least eighteen separate publications by ten different states and territories over four decades from 1822 to 1860. The story of this "missing" Amendment is complex and at times confusing because the political issues and vocabulary of the American Revolution were different from our own. However, there are essentially two issues: What does the Amendment mean? and, Was the Amendment ratified? Before we consider the issue of ratification, we should first understand the Amendment's meaning and consequent current relevance. America lost the war of 1812? British set fire to the White house, along with many other places in Washington. 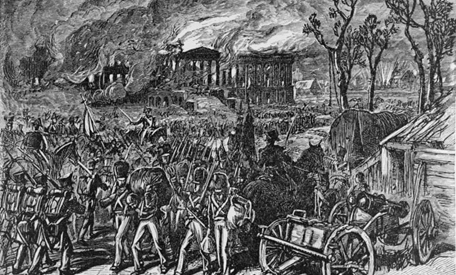 Capture and Burning of Washington by the British, in 1814,” an 1876 wood engraving. America had been at war with the British Empire since 1812, but the action so far had consisted of a series of indeterminate skirmishes along the Great Lakes region. With the defeat of Napoleon, the Empire turned its full attention to its former colony sending its battle-hardened troops to squash the up-start Americans. 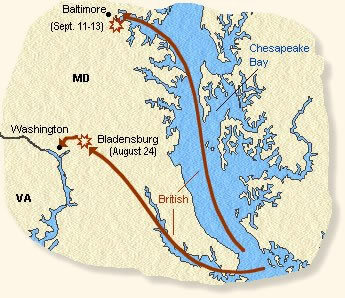 Washington had little strategic value - the thriving port of Baltimore was much more important. However, as capital of the nation, the British hoped that its burning would have a psychological impact on the will of the Americans to continue the conflict. Why do most Americans refuse to admit the US lost the war of 1812? I mean there is no way it can be called a US victory. Americas invasion of Canada was defeated and Washington DC burnt down. America achieved non of its aims whilst Britain achieved all of them. 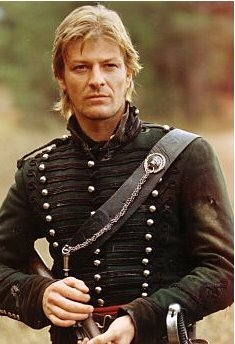 Also impressment didn't end as a result of the war of 1812, it ended because the Napoleonic wars in Europe ended.As a result of the United States’ extreme lack of winning, Britain got to keep Canada. And now a big sculpture has been unveiled in Canada to remind everyone of that fact. ​The sculpture depicts two giant toy soldiers. The British soldier, in gold, stands over a toppled American soldier in silver. As a result of the United States’ extreme lack of winning, Britain got to keep Canada. And now a big sculpture has been unveiled in Canada to remind everyone of that fact.The sculpture depicts two giant toy soldiers. The British soldier, in gold, stands over a toppled American soldier in silver.It was called the "President's House". The name "White House was used quite early on however. The building was originally covered with a lime-based whitewash, but was later painted white. The name has nothing to do with the burning of the house by the British in 1814 during the War of 1812. 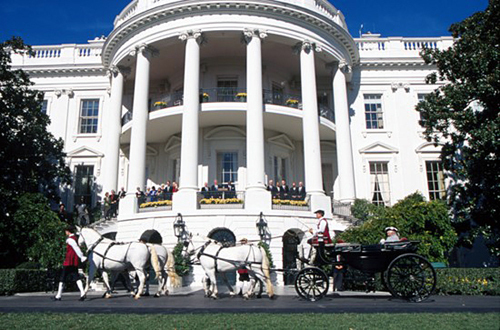 As early as March 1812 the building was referred to as The White House" in a letter sent between two congressmen. The White House didn't exist in 1776. The U.S. capitol was in Philadelphia, PA. The original government headquarters was Liberty Hall. It housed the congressional hall and federal courts, and also seated the local and Pennsylvania state governments. What happen to the white horses The "Whitehorse Spirit" died when all the Americans fell asleep!!!! Now there black. Just like the black robed Devils in the court house!!!!! !